It seems that with each passing year, more and more focus is being put on globalization and the effects it has on business’ not only in the United States but also all around the world. Globalization is the process in which people, goods, and ideas spread throughout the world and therefore spur more interaction between different cultures and many different economies. When most people think of globalization, they immediately think of how jobs are being lost in the United States because they are continually being sent to other parts of the world in order to find cheaper labor so business’ can cut costs and expand the business. For this essay we’ll take a different approach and look at how globalization is having an effect on the accounting profession. To do this we’ll analyse the effects globalization has on accounting from three different perspectives which includes the effects on generally accepted accounting principles (GAAP), the effects on management accounting, and also the threats and opportunities accountants face through globalization. The first perspective we’ll look at is the effect globalization has on the generally accepted accounting principles, or GAAP. GAAP is the set of rules and regulations that accountants must follow when disclosing important business information through financial statements. Throughout the world there are very diverse laws and regulations when it comes to accounting. While U.S. accountants are required to follow GAAP, there are over 115 countries that are required to follow the International Financial Reporting Standards. While the SEC is working to have all accountants throughout the world follow IFRS, this has not yet been accomplished. There has been a tendency of U.S. companies off-shoring their business’ to other countries to reduce costs and to decrease the amount of regulations that are required to follow. With globalization trends increasing it is very important to find a way to converge the concepts of GAAP and IFRS so that there is not a gap in principals from country to country. With over 650,000 CPA’s in the United States, this means that they would need to be slightly reeducated on accounting principals if their business would move to another part of the world. Another perspective we’ll look into is the effect globalization is having on management accounting. Management accounting in the United States has always been seen to be overlooked by financial accounting. This is partly due to the fact that U.S. companies want to compare their successes to other business around the world and financial accounting is what allows companies to do such. Management accounting primarily focuses on improving business performance while financial accounting focuses on financial data only to help investors and creditors make better decisions. The overshadowing of management accounting due to globalization has resulted in economic challenges and has put management shortcomings in the spotlight. If management accounting can get the attention it deserves all around the world, it will contribute to the preservation of value. A final perspective of globalization and accounting that we’ll look at is the threats and opportunities that accountants face through globalization. Present accountants should have the ability to read, understand and compare financial statements based both on IFRS and GAAP so that there is no gap in understanding and so business advice can span the globe and not just be centralized in one location. A major threat globalization places on accountants is the loss of employment. Accountants who have limit knowledge and skills when it pertains to knowing and understanding both sets of accounting principles are at greater risk of losing their jobs to someone who does understand the full spectrum of accounting. Also with a lot of companies now outsourcing work to other countries to cut costs and expand business, this puts greater risk on domestic accounts of potentially losing their jobs. With technology becoming more and more prevalent in the business world, this could also result in less accountants being hired due to the fact that computers can do a lot of the required work these days. While globalization may harm some accountants it also opens up new opportunities for others. Accountants who make a conscious effort to expand their knowledge and skills to adapt the the changing international standards of accounting may find many more opportunities to do business in other parts of the world which helps develop a more well-rounded business person. Globalization could also increase job opportunities around the world as business becomes a more universal language across all cultures and geographic locations. In conclusion we looked at the potential effects that globalization has on the accounting profession. We analyzed how globalization affects the generally accepted accounting principles, how it has caused management accounting to be overlooked, and the potential threats and opportunities that globalization poses to accountants. Bannan, Robert. "GAAP & IFRS: The Effect of Globalization." Ezine Articles. N.p., 2 Apr. 2015. Web. 11 Nov. 2016. Crow, Galen. "International Outsourcing." Scholar Works. N.p., n.d. Web. 11 Nov. 2016. Pounder, Bruce. "How Globalization Is Affecting U.S Accountants." How Globalization Is Affecting U.S. Accountants (n.d.): n. pag. Accounting Web. 2006. Web. 11 Nov. 2016. 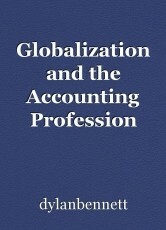 <http://www.accountingweb.com/sites/default/files/How_Globalization_is_Affecting_US_Accountants--by_Bruce_Pounder_of_CPEanywhere.pdf>. 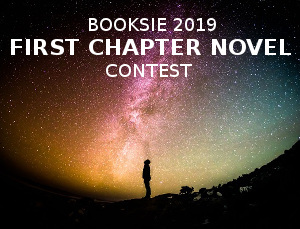 © Copyright 2019 dylanbennett. All rights reserved. Don't you dare to misdoubt your ability to success!